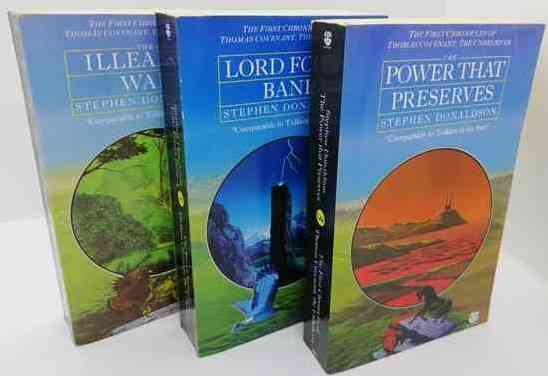 Limited edition hardback of Book One of The Last Chronicles of Thomas Covenant published by Gollancz in 2004. Signed by Donaldson on the Limitation Page. Limited to 1000 copies of which this is number 164. Second printing. 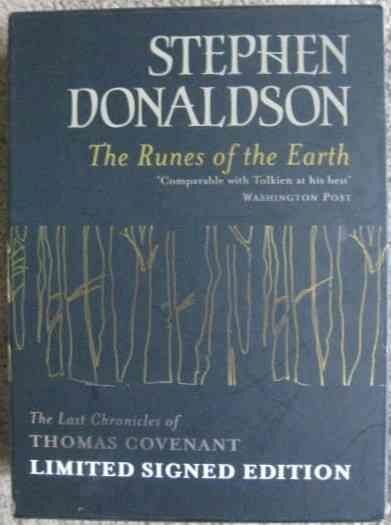 Limited edition hardback of THE RUNES OF THE EARTH (Book One of The Last Chronicles of Thomas Covenant) by Stephen Donaldson and published by Gollancz in 2004. 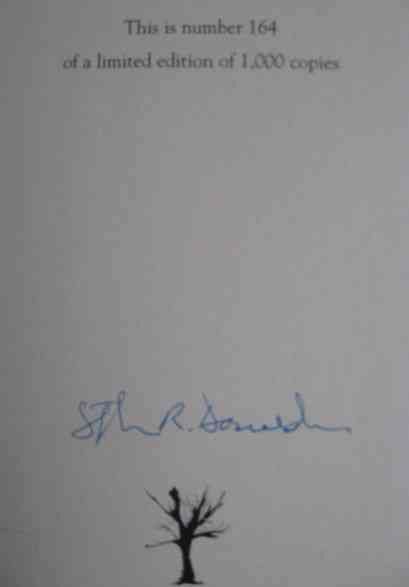 Signed by Donaldson on the Limitation Page. Limited to 1000 copies of which this is number 164. Second printing. The book is in near fine condition (black cloth boards with silver and gold lettering to spine and to front cover) with no significant wear other than fingermarks to the front endpaper as is common. The book is in a near fine unclipped dust jacket which also has no wear to speak of. The slipcase has very minor handling and storage wear. Internally the pages are clean and tight and there are no tears or other inscriptions. Struck down with a deadly disease, Covenant is abandoned by his wife and son. Alone and despairing, he is drawn into the Land, where the earth itself brings healing. 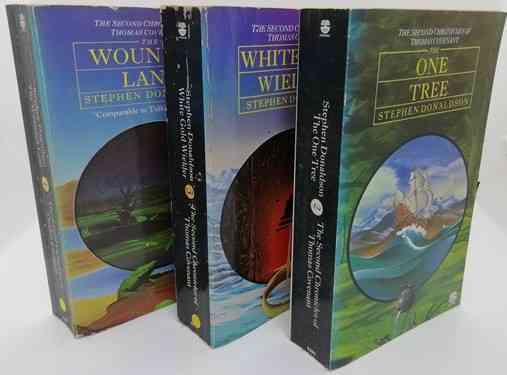 He is welcomed as the reincarnation of a legendary saviour, but cannot - will not -accept this magical world is real. But the Land itself is under threat, and only Covenant has the power to save it.